DISCLAIMER: Before you read this, I want you to know that I am in no way professional and you can probably (most definitely) tell from the images you're about to see. (Oh that sounds like the beginning of a horror programme). 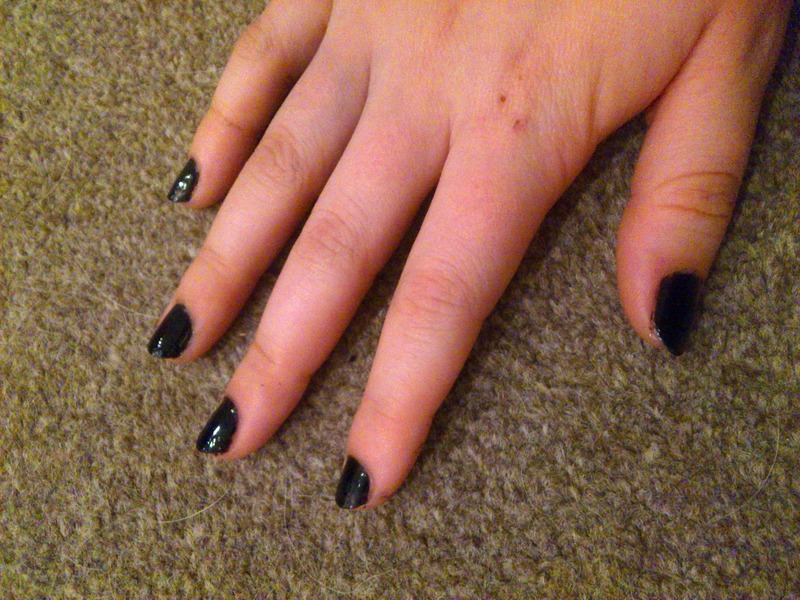 After that, I just wanted to share with you a little nail 'tutorial' that I did quickly. 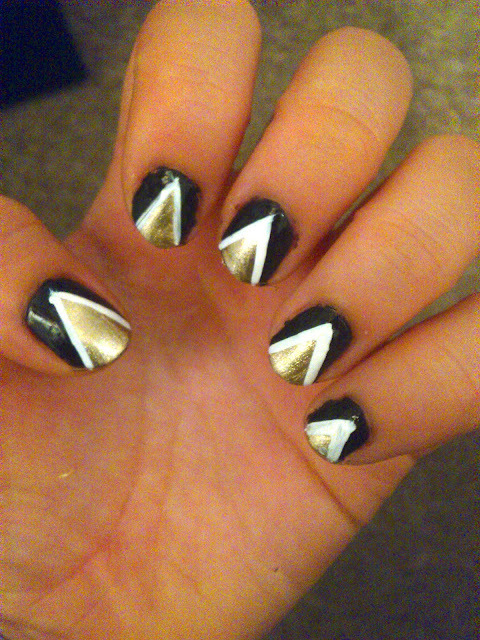 As always, left hand ended up better than right. First step: Paint nails a base colour, I would recommend black or another dark colour. Paint a 'V' shape with a the lighter colour, something sparkly and bright should do the trick. It doesn't matter if you do it wrong because we shall fix that later. 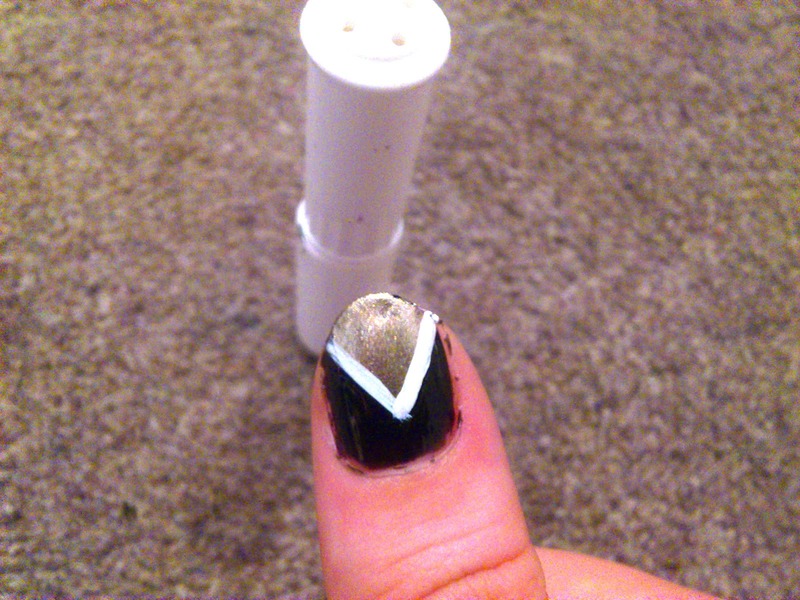 With a black nail art brush, run along the sides of the V and make it neater so that the edges are sharp. 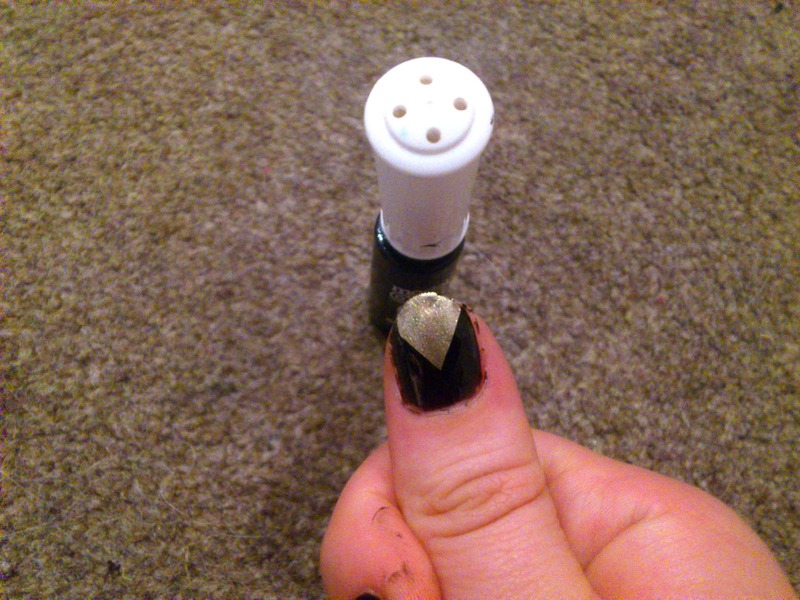 With a white nail art pen, draw two white lines running along the sides of the V. Make sure that the black is dry otherwise you end up with streaky lines. Finally add a top coat to finish and voila! 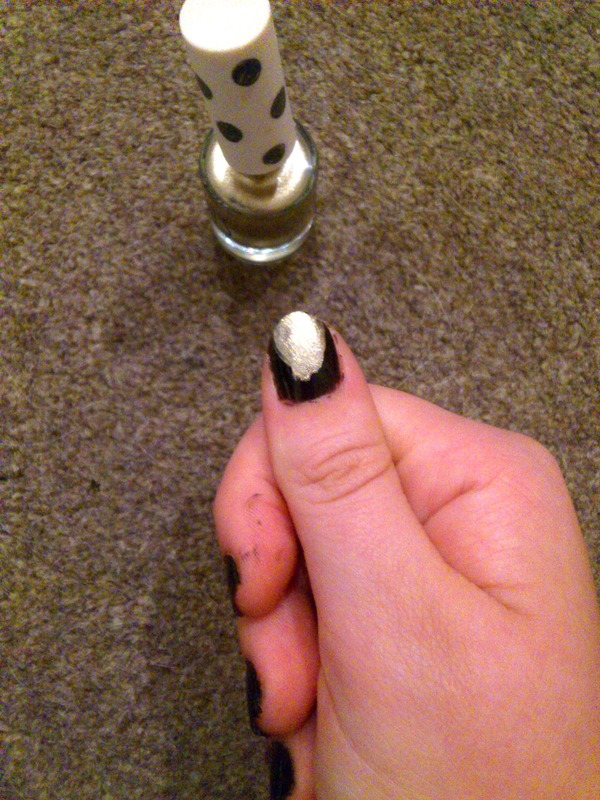 Instant nail art. Hope that you give this a go and let me know if you do!